I’ve got a soft spot for earthworms and so a few years back, when I heard that teachers and parents were setting up an ecogarden at my kids’ Primary school to teach the little ones about growing food, I figured it would be a superb thing if we could extend the learning to include recycling. What if we set up a worm farm or two to convert some of the kids’ food scraps into rich compost that could then be spread on the ecogarden? When the kids harvested the food, they’d get a nice introduction to the food cycle. I was introduced to Briony Taylor who teaches the youngest kids in the school, the Class 1s. Briony was up for the project and we set up a worm farm in her classroom amid many squeals and much laughter. The worms went so well that Briony got a grant from the school Parent Teacher Association to buy eight more worm farms and so a major recycling adventure was born. I recently caught up with Briony to interview her for a Cooee! Podcast. 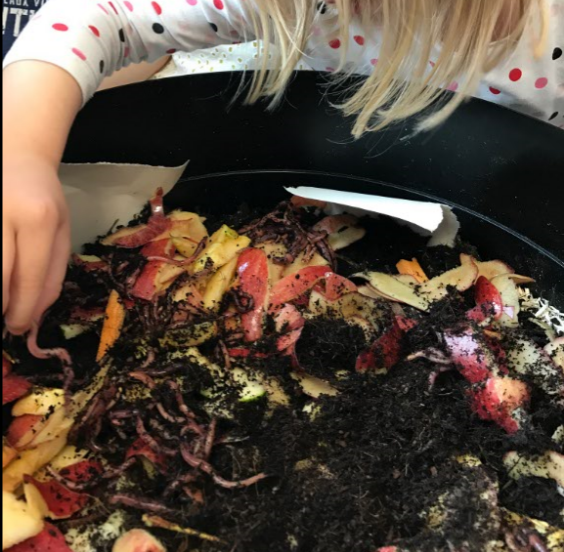 Briony revealed how over 600 kids now interact with the much-loved worms and how the worms are helping kids extend their thinking in science, mathematics and even English, not to mention teaching them about recycling and how to grow food! I think it’s a beautiful thing and I especially love the inspiring words from the kids. Briony teaches at the La Châtaigneraie Campus of the International School of Geneva. Many thanks to the school for supporting this terrific project. Wouldn't it be great if your kids' school had worm farms? Why not check it out? If your kids' school already has worm farms, pop a comment below to share how the kids feel about it. Why "Cooee!?" Have a quick read of this. To listen to other Cooee! Podcasts, you can visit this page here.